To successfully delete an Approval Flow follow these steps. 1. Navigate to Finance section, Tools area and check Awaiting Approval for any expenses showing as Awaiting Approval by the Approval Flow you wish to delete. Use the Redirect Approval button for them to be Approved through another Approval Flow. Approve as a Finance user. Take no action. 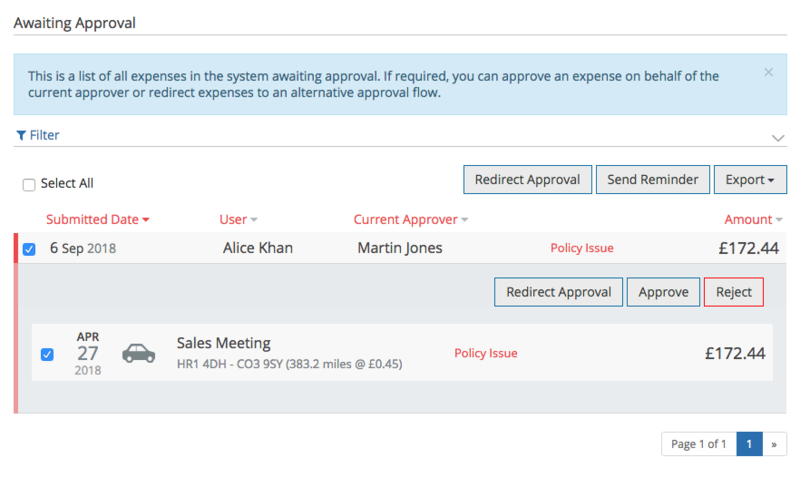 Expenses will be automatically sent to the Approved area in the Finance section when the Approval Flow is deleted. 2. Navigate to the Admin section, Users area and check to see who is using the Approval Flow you wish to delete. Click the red Approval Flow heading and this will group the user summary by Approval Flows. Find all users for the specific Approval Flow. Select the Users individually. Click the Actions button and Select Change Approval Flow. In the Change Approval Flow box select the new Approval Flow from the drop-down options and click Update. 3. Still in Admin, navigate to Approval Flows. 4. 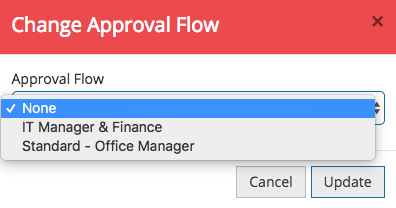 Click the small box in front of the Approval Flow to tick/select the Approval Flow you wish to delete. 5. Once ready, click the Delete button which is now available. The approval flow is now deleted.